Alicia's Advice for Speaking Success: World Peace? Global Warming? I filled out a questionnaire for an organization I wanted to join. There were many questions posed such as what do I do, what are your goals, what charities do I support. Those were easy enough to answer. Then there was one that asked: "Name a thought leader you would like to meet and why." I answered: "Herb Kelleher for his expertise in building a successful company in spite of economic down-turns while maintain a positive and fun corporate culture. 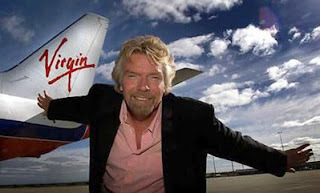 And Richard Branson for his overall brilliance in branding strategy and entrepreneurship." Then I came across a question that really stumped me. In fact, I had to really think about it. here was the question: If you had one chance to rally influential thought leaders and people in a position of power to change the world for the better, where would you begin? Wow! The possibilities are endless: I don't know even know where to start: human rights, global warming, hunger, drug wars, etc. Since I have to choose one, I would rally the movers and shakers of land developers, farmers, scientists, engineers, architects, and green thinkers/leaders to evaluate every foot of land on the US and implement a plan allowing farmers and developers to coexist while reducing our carbon footprint/deforestation and generating an abundant food source and green energy. And then implement the plan in other countries before development has gone to far. 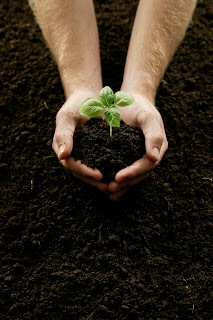 I think with the recent discovery of engineering foods that are drought resistant and the advancement of technology in water conservation, land erosion and land development, something positive could be created that would produce more food and be more green. So, where would you being? What issue would you want to improve or resolve that would make the world a better place? Think about it and get back to me!